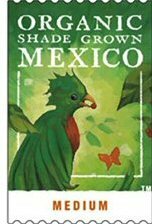 Starbucks Organic Shade Grown Mexicois produced by around 900 small farmers on 3200 ha of land in the southern Mexican state of Chiapas . Many of the farms are near or adjacent to the El Triunfo Biosphere Reserve, which contains the northernmost cloud forests in the world and is considered as one of the greatest biodiversity sites of North America. El Triunfo totals 119,000 ha, of which 93,458 ha corresponds to a buffer zone and the rest to the core areas. Core areas are primary forest owned by the government. The buffer zone consists of privately owned lands, about 60% of which are forested. The remainder is agricultural, with shade coffee being the dominant crop; up to 70% is rustic shade. Originally this coffee was to be a temporary offering, but proved so popular that it is on the permanent Starbucks menu. This coffee-sourcing is part of a partnership with Conservation International (CI) which began in 1998. Originally, this was to be a three-year program with CI providing technical assistance to producers encouraging them to continue eco-friendly growing practices, and Starbucks as a dependable buyer. This partnership has continued with some new wrinkles, including the development of Starbucks C.A.F.E. practices. This project has not been without controversy. One main gripe has been that the contracts with Starbucks paid above-market prices, but the beans went through the large exporter and processor Agroindustrias de Mexico (AMSA), which took a cut of the price. This doesn’t seem like an unusual arrangement and perhaps the only practical one with between a large buyer and dozens of cooperatives. At some point Starbucks did try to deal directly with producers, but the cooperatives were unable to arrange shipment. Some of the co-ops withdrew from participation. Various reasons have been given. According to CI’s report to USAID , when the world price of coffee rose above the price already agreed to in the contracts, producers reneged and sold to other buyers (a not too-uncommon occurrence). Some felt that, after a long struggle for autonomy, that they were once again beholden to middlemen . CI apparently negotiated many of the initial contracts, and some producers later regretted signing when they found out Starbucks was the end buyer (was that not in the contracts?). There were also objections to quality demands being imposed on them. Nonetheless, the arrangement with Starbucks did and has increased income for many of the farmers. One co-op mentioned as a participant in a New York Times article was identified by a Fair Trade advocate as being organizationally weak, not well suited to judging the quality of their own beans, and unable to seek out other buyers. If that’s the case, this co-op may not be qualified for Fair Trade certification, and therefore Starbucks might be the best option for them, at least at this time. While there is a lack of publicly available objective information on the outcomes of the Chiapas coffee project, from what I have read it has had an overall positive net impact. Encouraging and promoting organic and shade-grown coffee is a major goal of El Triunfo conservation efforts. At least for some period of time, cooperatives that withdrew from the CI/Starbucks program had a hard time finding buyers, especially those that would pay high prices and invest in their communities. If Starbucks is purchasing an average of 1.7 million pounds of coffee from this area every year, this is likely a good thing, especially if these producers do not have other options for selling their beans. Finally, we need to bear in mind that this is a certified organic coffee, but it does not have shade certification by Smithsonian or Rainforest Alliance. As mentioned above, however, the coffee grown in this area, especially in the El Triunfo buffer zone, is traditionally grown in the shade, often diverse shade. Starbucks Organic Shade Grown Mexico is billed as a medium roast. For a company known to over-do the roasting, I was surprised to see that “medium” was actually “medium.” I think good Mexican coffees are delicate and sweet and should be roasted light, but I suppose medium was a good compromise to cater to the tastes of Starbucks customers. I was also surprised to see that in a French press, this coffee was fresh enough to have a decent bloom. This coffee was what we expected from a Mexican coffee: pleasant, approachable, smooth, and well-balanced. It was fairly sweet with hints of chocolate; a couple people thought that rather than milk chocolate it was a more bittersweet dark chocolate, perhaps due to the roast. One person tasted cinnamon. Overall, comments were quite positive. A few people with known anti-Starbucks sentiments were grudgingly impressed. This is a decent coffee that most people should find more than acceptable. When the votes were tallied, it came away with a solid 3 motmots. Because of its size, Starbucks falls victim to its own success. Providing a consistent product at such large volumes inevitably means lower quality, buying through exporters (and thus lower prices for producers) and an inability to truly police the growing methods of thousands of farmers. Still, I can think of few other offerings by any of the big roasters that are as positive for the environment as the Starbucks Organic Shade Grown Mexico. It sure beats Kraft’s 30% Rainforest Alliance certified (and 70% mystery-sourced) Yuban, and tastes better to boot. Gonzalez, A. A. and R. Nigh. 2004. Smallholder participation and certification of organic farm products in Mexico. Journal of Rural Studies 21:449-460.